I’m not really an emotional person, but when my bff told me she was having a baby I definitely got choked up. She’s having a little girl and I couldn’t be more excited. 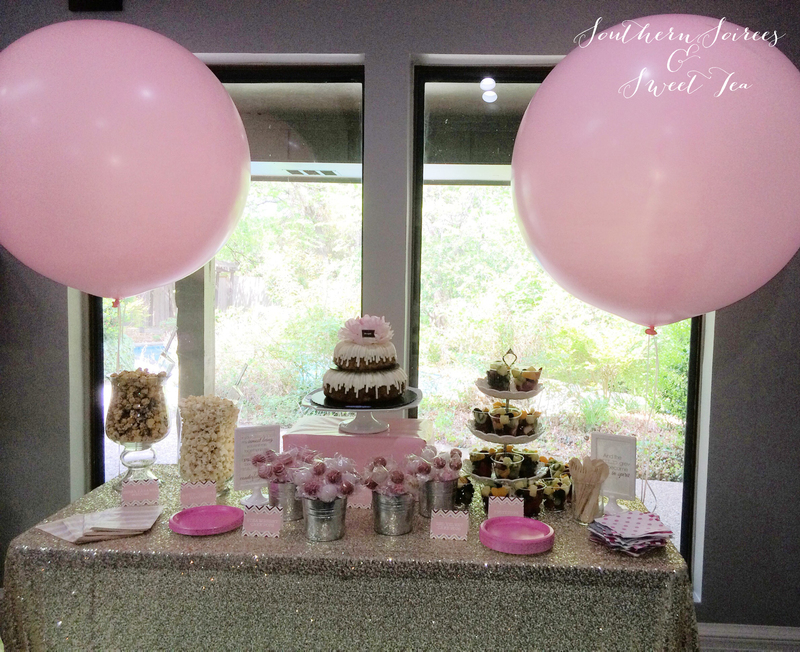 I got right to work.. she had to have a fabulous baby shower! I decided to host a brunch time affair. 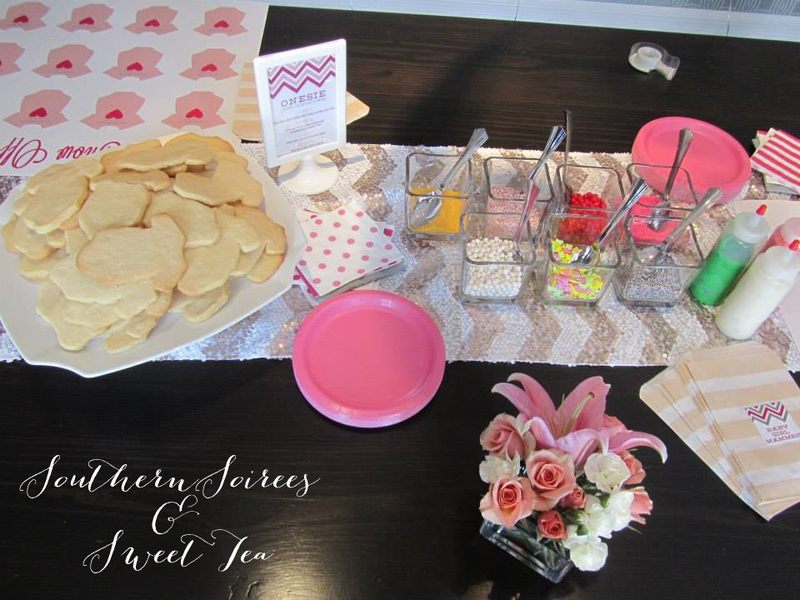 There was no specific theme, but the colors of the day were pink and gray with magenta accents. 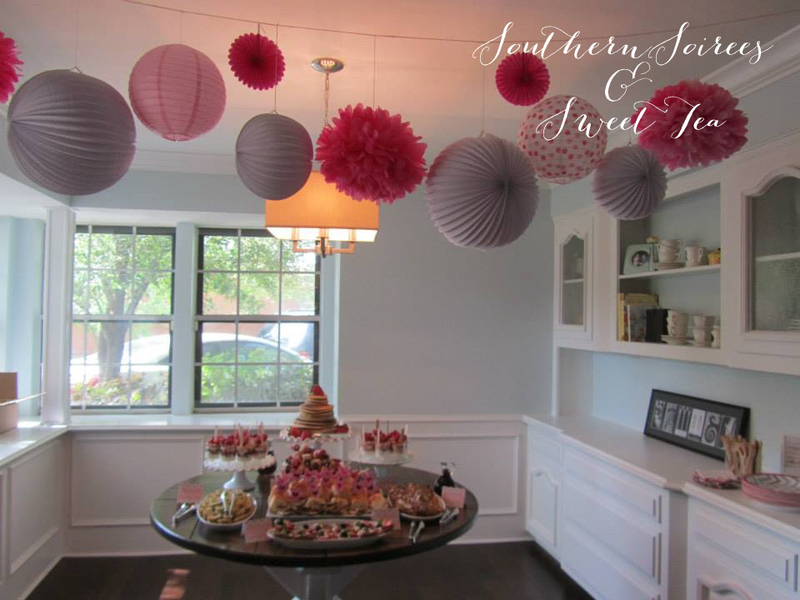 Her newly renovated home was a wonderful venue to display all the fabulous crafts and DIY projects we made to celebrate the mom-to-be and her little one. 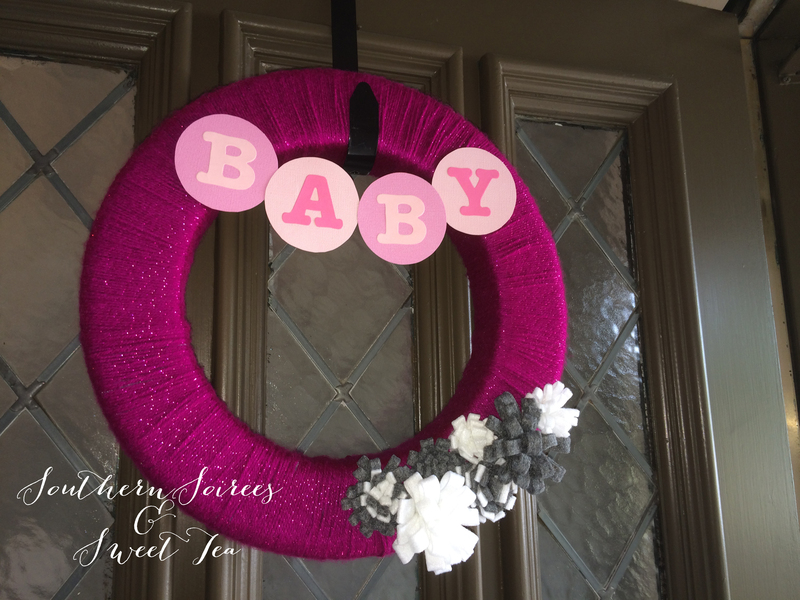 A DIY yarn wreath greeted guests as they entered. 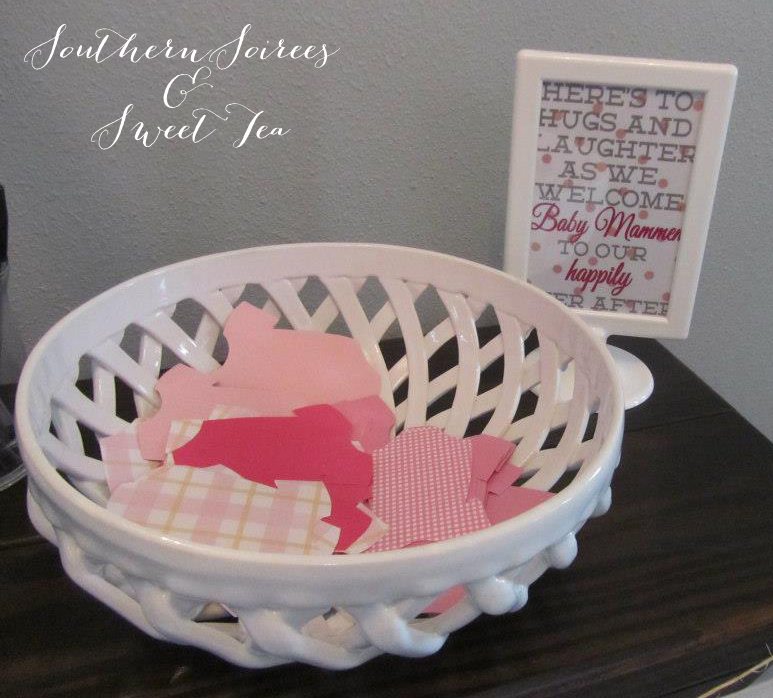 A onesie guestbook, inspired by this, was a perfect way to leave the mom-to-be and baby messages of love and happy wishes. 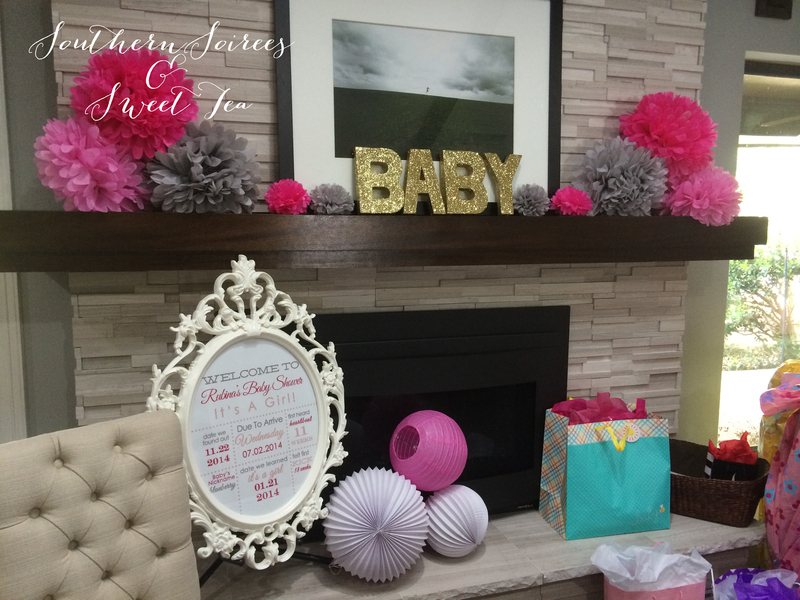 The tissue garland was another DIY project. Tissue Poms Poms, lanterns and DIY glitter letters were used to decorate the mantle and fireplace. From the due date to first kick, the Ikea UNG frame was the perfect way to display all of mom’s pregnancy milestones. 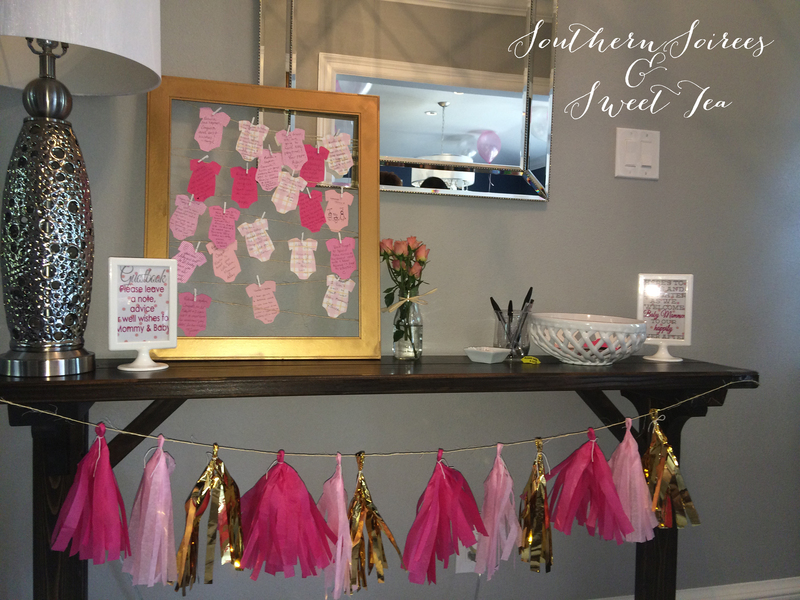 We avoided the typical poopy diaper and guess the baby food games and opted to set up activity stations where guests could enjoy at their leisure. 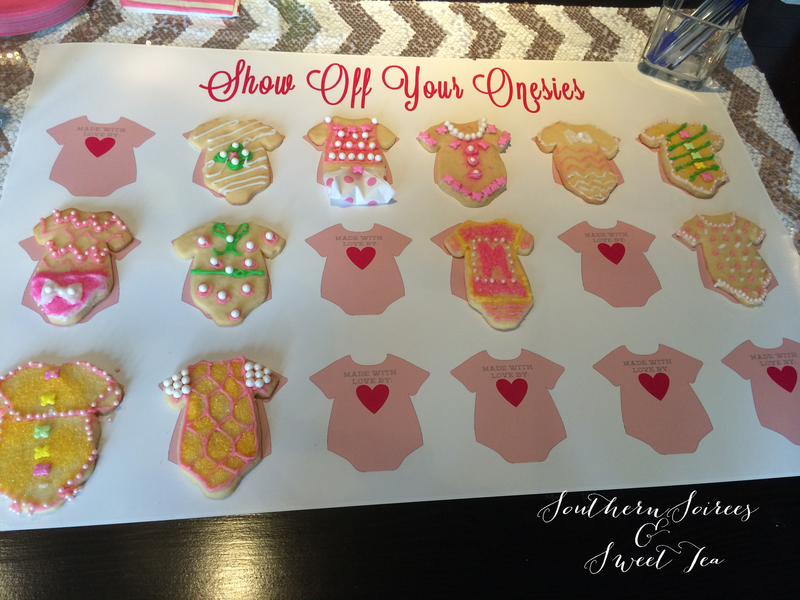 The first game was a onesie cookie decorating contest (inspired by this fabulous baby shower). We made onesie sugar cookies ahead of time and had a variety of sprinkles and icing. 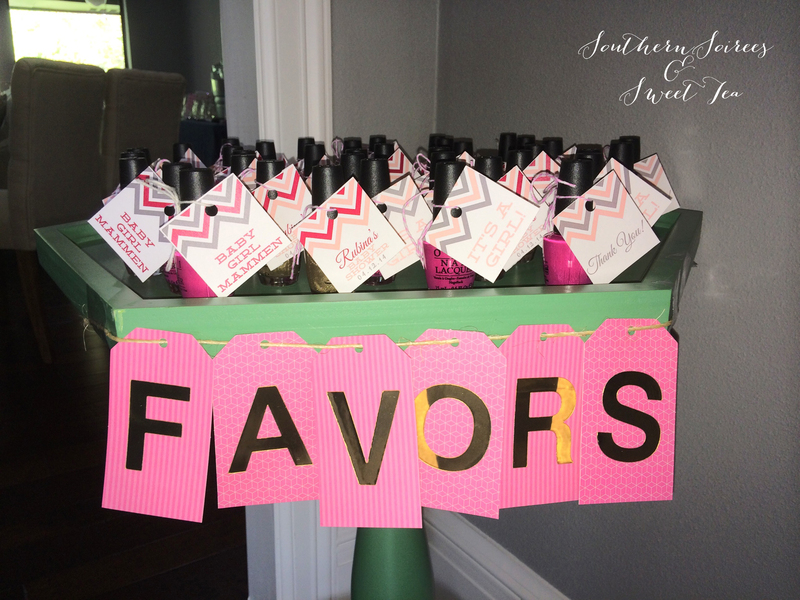 Once everyone was done, the parents-to-be picked their favorite. 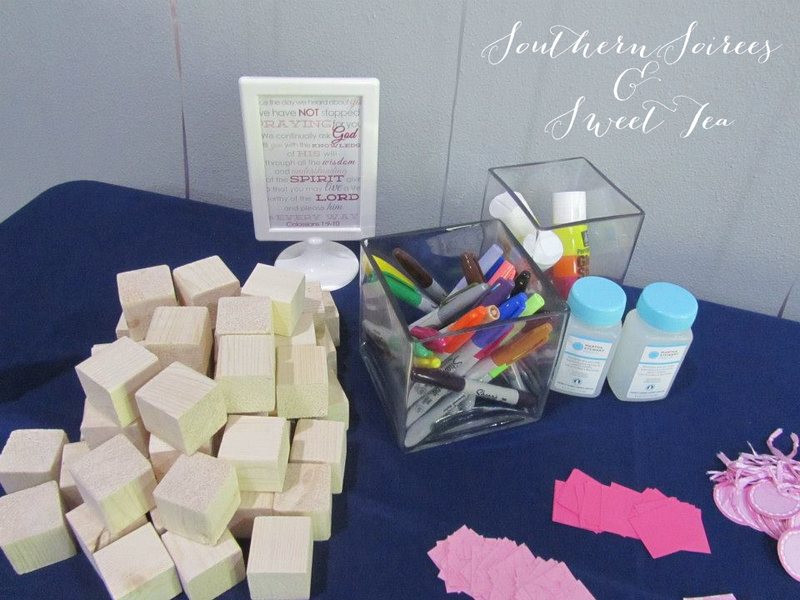 The next activity station was baby block decorating (and again, thank you pinterest for showing us this idea!) So sad I didn’t get a picture of the entire table! We used 2 x 2 wood blocks. (Just a helpful hint..buying blocks are EXPENSIVE. To save money, hubby bought a long 2x2x8 from the hardware store and cut them by hand.) 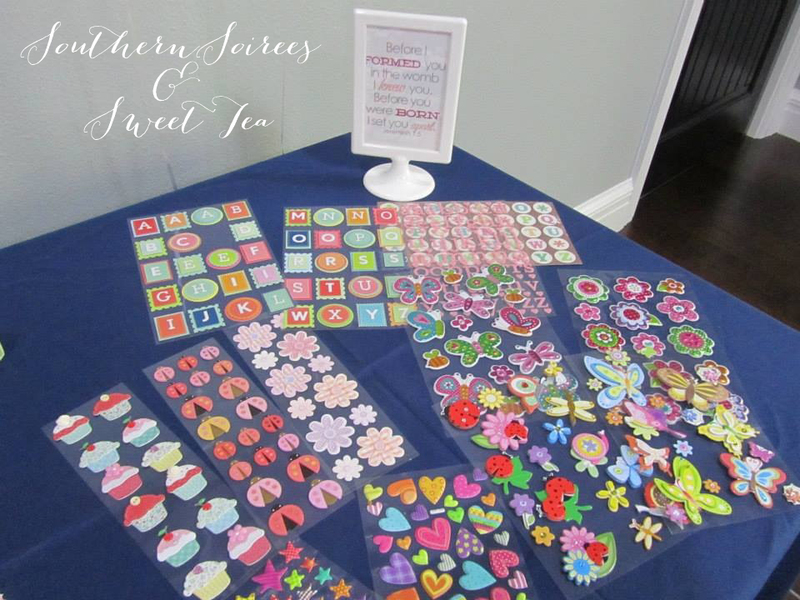 The table had a mix of scrapbook paper squares, stickers and markers to decorate. Guess Baby’s Stats was one of the other games we played. 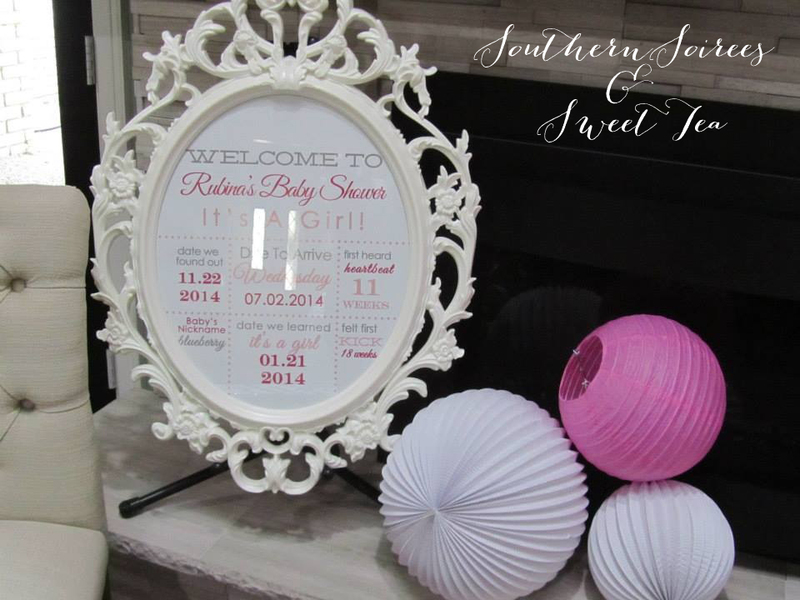 Since the name was a surprise, everyone had fun trying to guess the baby’s name! A few other games included He Says, She Says: Baby Edition, an All about Baby Quiz where guests answered questions about the parents-to-be, and bingo while the gifts were opened. 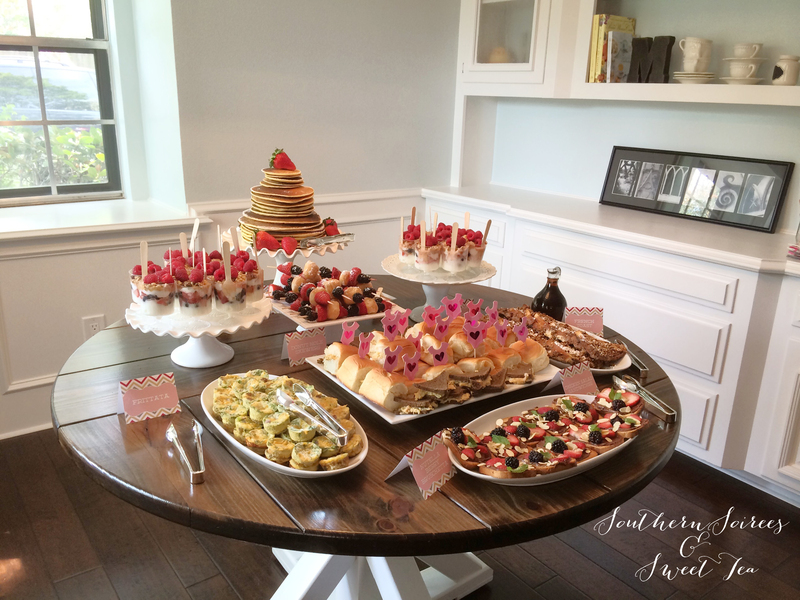 The ladies enjoyed brunch with raspberry yogurt parfaits, chicken salad sandwiches, frittata, nutella berry bruschetta, french toast casserole and donut hole skewers. Our favorite part was the pancake cake! 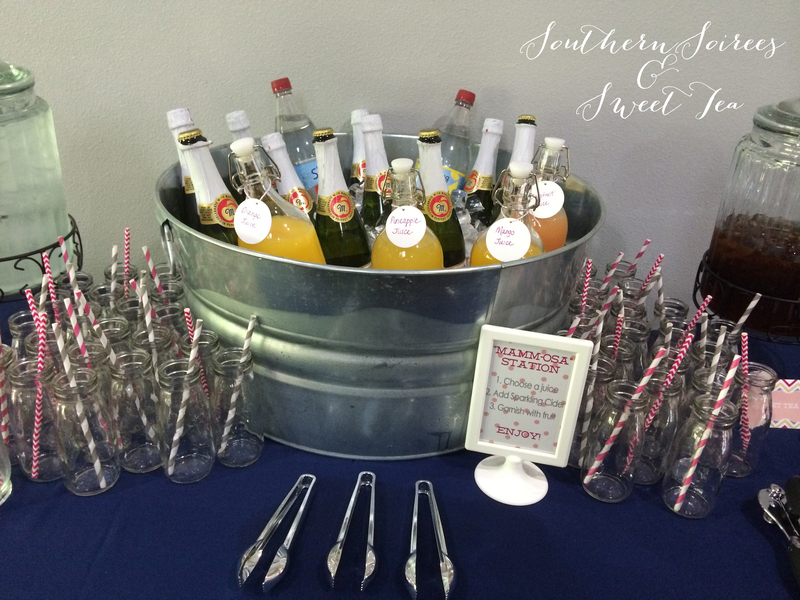 The drink station include a “Mimosa” station with Mango nectar, grapefruit juice, orange juice and pineapple juice. 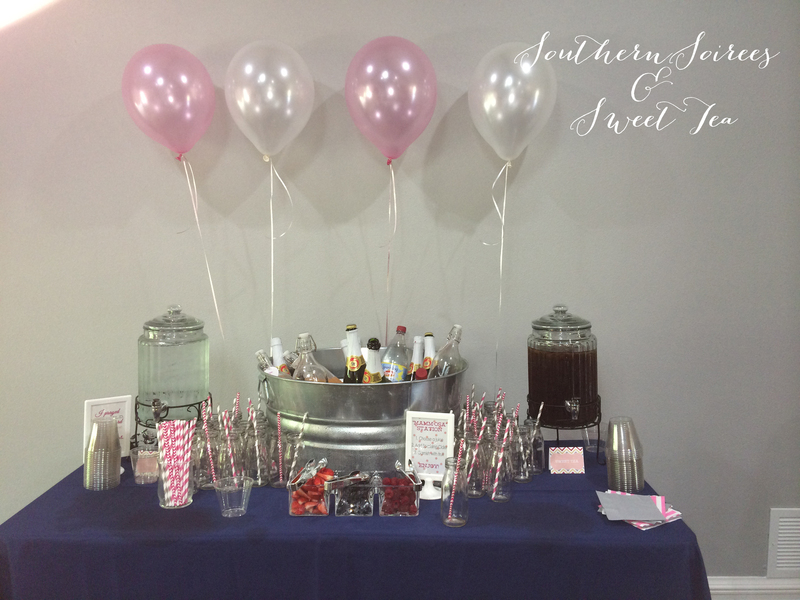 There was also water and sweet tea, of course! All were served in milk bottles with paper straws. 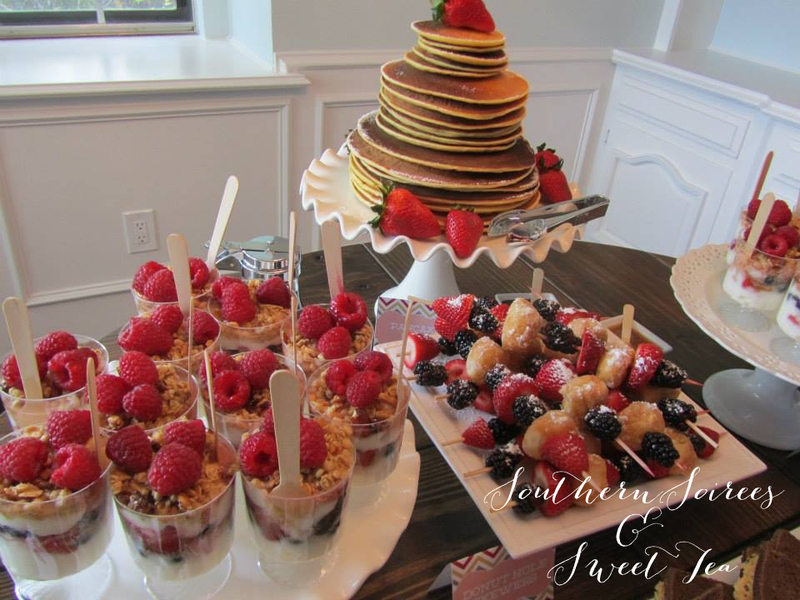 I LOVE this dessert table! 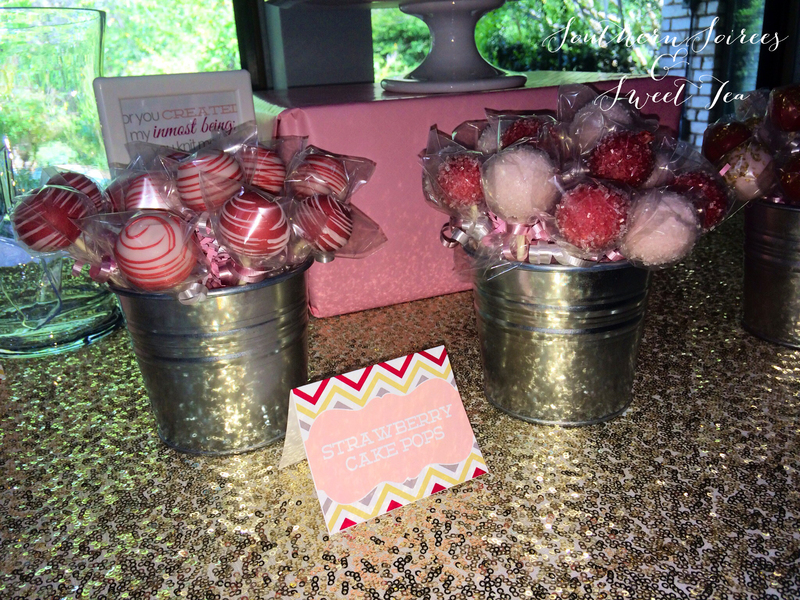 We enjoyed a 2-tiered nothing bundt cake, fruit cups, flavored popcorn and cake pops! We used striped paper bags from amazon as our popcorn bags. As a thank you, all the ladies had a bottle of Gwen Stefani OPI nail polish waiting for them. The pink was “Hey Baby” and the gold was “Love. Angel. Music. Baby”. 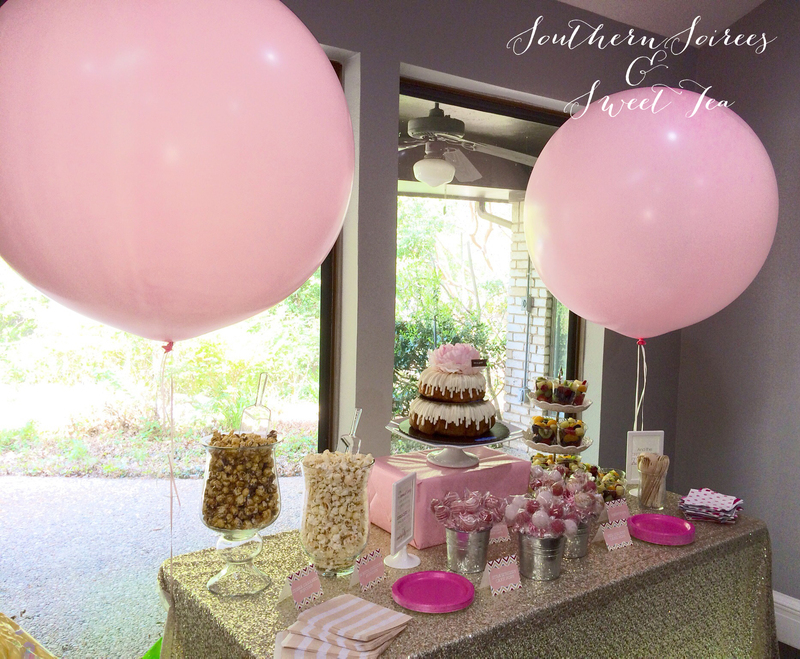 We had so much fun at this shower and I can’t wait to meet this sweet baby girl and spoil her rotten!